Take your communication game, on and off the field, to a new level. With IMAG technology, you can perform detailed magnification optics, slow-motion shots, and playbacks during a big game. Don’t settle for missing an informative moment during your game, presentation, or event. It is amazing what streaming media can do nowadays. Corporate events, church events, public conferences, all of these activities can be greatly enhanced with the use of image magnification equipment, colloquially referred to as IMAG. 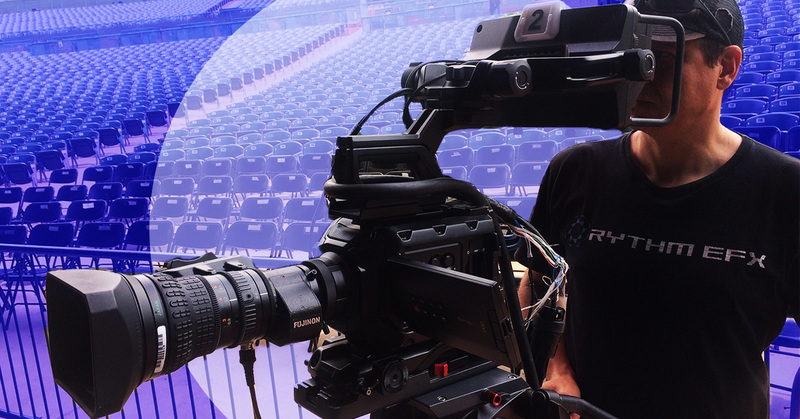 Here at Rythm EFX, we perform IMAG equipment setup in Fort Collins, Denver, and the surrounding areas. If you are interested in getting IMAG setup for your event, give us a call at your earliest convenience. In the meantime, we will go over some information about this exciting visual enhancer, as well as our own IMAG services. Whenever you see someone speaking on a stage, and their image is projected on giant screens via a video feed, that is image magnification equipment they are using. As the name implies, IMAG equipment magnifies a person’s image, making them easily visible to large crowds. IMAG is not just a powerpoint, or a slideshow, or even just a zoomed up feed of the speaker, but rather a comprehensive video that can focus on the speaker, while also adjusting to include the crowd and event features. The cameras used for IMAG are not your conventional video cameras; they need to be able to magnify an image by many times to provide a clear picture. 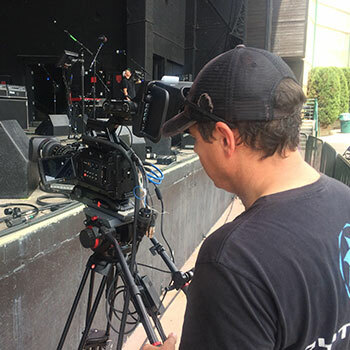 That means that IMAG equipment requires the use of broadcast quality cameras, with special long lenses that can view far off details as if they were up close. Remember watching the football game when they close up on the player? That is the level of equipment used with Image Magnification equipment. The benefits of using this equipment are subtle, but make all of the difference. It is not something that many people think about, but there is a huge amount of communication that happens on the nonverbal level. Not only are people going to miss less from a speech because they can associate mouth movements with the sounds they’re hearing, but there is a tangible effect on the effectiveness of a message when people are communicating face to face. On top of increasing the effectiveness of communication, this equipment is a visually pleasing feature that adds depth to any event. It is hard enough being an orator, and holding people’s attention, so every little detail that can add to the experience will help. Our Fort Collins, Denver, and greater Colorado IMAG installation services are the perfect solution to church, corporate, and conference events. Anything that requires oration to a big crowd can benefit from image magnification equipment. If you are interested in taking advantage of our IMAG rental or purchase/installation options, please do not hesitate to give us a call at your earliest convenience. One of our friendly and knowledgeable representatives will be happy to answer any questions that you may have.